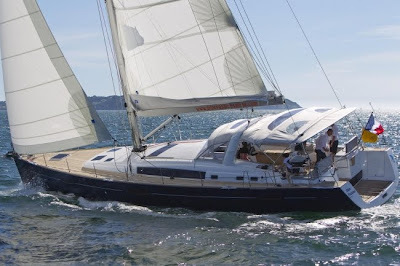 Blue Passion is as spacious as a 50' catamaran so this yacht is unbelievable - you have to see to believe - that is why she won the best monohull in the BVI Boat Show 2010. 4 double cabins with an option for one forward cabin to convert to a twin cabin. All cabins are ensuite with separate showers and electric toilets. Air conditioning throughout. Ice maker on board.